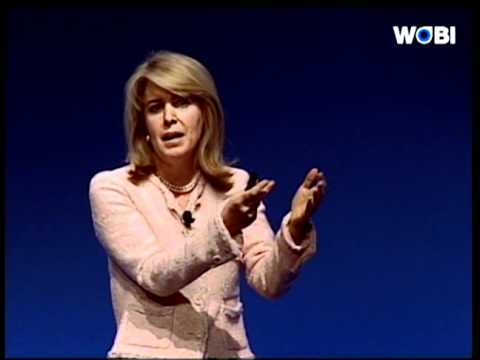 Bestselling Author, "Blue Ocean Strategy"
Renée Mauborgne is The INSEAD Distinguished Fellow and a professor of strategy at INSEAD, one of the world’s top business schools. She is also Co-Director of the INSEAD Blue Ocean Strategy Institute. Mauborgne received the Nobels Colloquia Prize for Leadership on Business and Economic Thinking in 2008. She is the co-author of the global bestseller Blue Ocean Strategy, which has sold over 3.6 million copies and is recognized as one of the most iconic and impactful strategy books ever written. Mauborgne also co-authored the indispensable follow-up, Blue Ocean Shift, which has been published in a record-breaking 46 languages and an international bestseller across five continents. Official Site: Blue Ocean Strategy INSEAD: Renee Mauborgne Book: "Blue Ocean Strategy" Book: "Blue Ocean Shift"
Mauborgne is the co-author of the global bestseller Blue Ocean Strategy (Harvard Business Review Press) and the indispensable follow-up, BLUE OCEAN SHIFT: Beyond Competing – Proven Steps to Inspire Confidence and Seize New Growth (Hachette Books, September 2017). BLUE OCEAN SHIFT is a New York Times Bestseller and #1 Wall Street Journal Bestseller. It is also an USA Today Bestseller, Los Angeles Times Bestseller, and an International Bestseller. Amazon selected BLUE OCEAN SHIFT as a “Best Business and Leadership Books of 2017.” BLUE OCEAN SHIFT is also the winner of “The Best Leadership and Strategy Book of 2017” by 800-CEOREAD. BLUE OCEAN SHIFT was also selected as “Apple iBooks’ Best Business Book of the Month”, and as a Financial Times “Business Book of the Month”. BLUE OCEAN SHIFT was chosen as the #1 business book of 2017 by Library Journal. 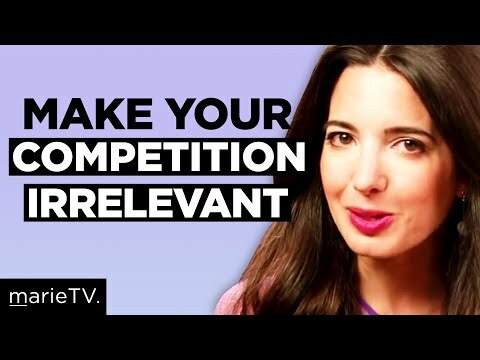 Her book Blue Ocean Strategy has sold over 3.6 million copies and is recognized as one of the most iconic and impactful strategy books ever written. It is being published in a record-breaking 46 languages and is a bestseller across five continents. Blue Ocean Strategy has won numerous awards including “The Best Business Book of 2005″ Prize at the Frankfurt Book Fair. It was also selected as a “Top Ten Business Book of 2005″ by Amazon.com, and as one of the 40 most influential books in the History of the People’s Republic of China (1949-2009) along with Adam Smith’s The Wealth of Nations and Milton Friedman’s Free to Choose. Click here for a list of the major book awards won.